Extend your camp experience as you explore from three options of what you can be doing on your extra day. Extend your camp experience as you explore from three options of what you can be doing on your extra day. You can choose to explore the FUTUREKIDS educational software library at your own pace, as you develop logic skills to increase your visual and mental acuity. You can also use this extra day to enhance the skills you have learned in your camp. Explore other methods of creating your masterpiece to make your project even better! Think your masterpiece is done? Well join us in our world renowned Mind Lab program. Explore various strategies to some of you favorite board games. Calling All Gamers! This camp is for you. Learn how to create your very own video game. Calling All Gamers! This camp is for you. Learn how to create your very own video game. You will discover how easy and fun it can be to plan, program and test your video game. Create your own graphics. Add crazy sound effects to make your game even cooler. You’ll also be able to test your classmates’ games and debug their games just like the professionals. The best part is that you will be able to play your game at home or over the internet. Ever wanted to know how your favorite advertisement was created? Well, here is your chance to learn how. Do you like reading magazines? Or ever wondered how your favorite advertisement was created? Here is your chance to learn how. 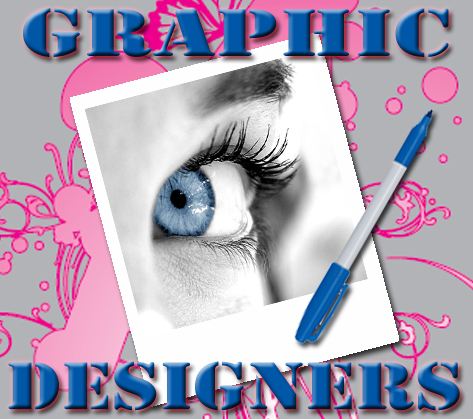 Become a graphic designer as you learn all the tricks of the trade through Adobe Photoshop. Learn how to create and design any advertisement from movie posters, magazine layouts, vector images, DVD covers, billboards, and many more. It will all "ad" up to gorgeous advertisements by you!! Develop and improve your keyboarding proficiency. 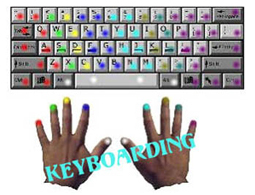 Develop and improve your keyboarding proficiency using the patented Herzog System™. Practice your word processing skills. Improve your writing techniques. Learn the “high-tech” way to create reports and stories that will impress your teachers and amaze your friends! Great for beginners or as a refresher course to improve your speed and precision. Learn Dreamweaver web design software as you build an exciting and fun web site. 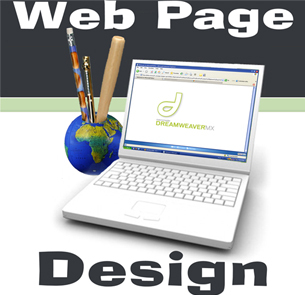 Learn Dreamweaver web design software as you build an exciting and fun web page site. You pick the topic and build an entire web site focused on your own interests. Create and use hyperlinks to guide a user/visitor through tricks and turns. Embed simple flash animations & music. Use more techniques to separate your site from all the rest. Explore your creativity, as you design a web page of your very own. Do you like playing games online? How about commercials and TV shows? 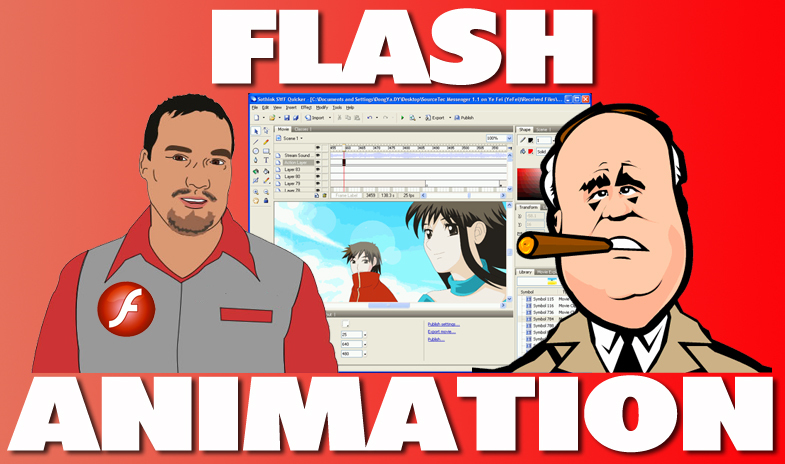 Do you know many of them use Flash as a source of animation? Do you watch funny online videos & commercials? Have you ever played games online? Did you know many of them use Flash as a source of animation? Here is your chance to create one of your very own Flash Animation. Build, create & edit your characters. Add sound & music. Learn how to animate the characters frame by frame.